What is Bionics and Why Should You Care? Bionics – also known as biomechatronics – is the study of mechanical systems that function like living organisms or parts thereof. 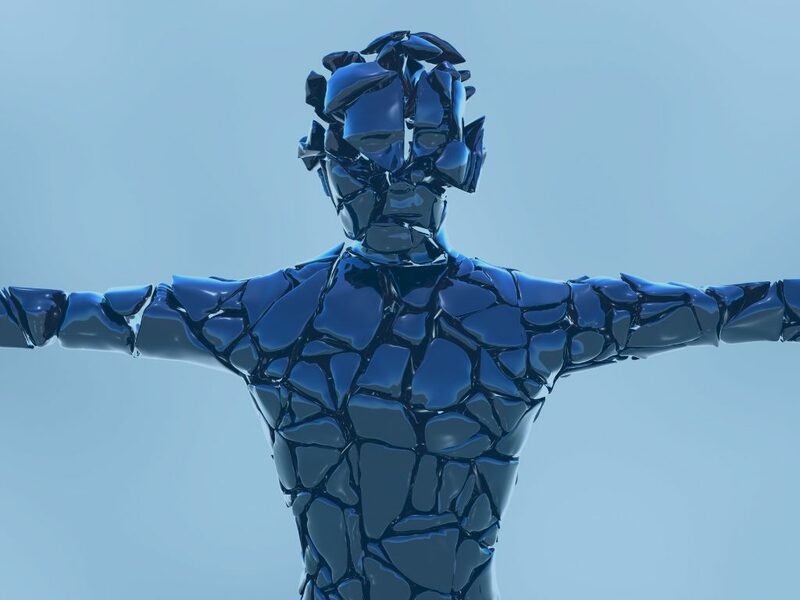 More specifically, human bionics is an applied interdisciplinary science that integrates mechanical elements or devices with biological systems such as human bones, muscles, internal organs, and the nervous system. When most people hear the term “bionics,” the first thing that comes to mind is probably robotic limb prosthetics. Currently, most prostheses are purely mechanical, which can create health problems in itself. For example, mechanical legs require the users to hike up the hip with each step to avoid the artificial toes from scraping the ground. On the other hand, prosthetic arms often lock in place when walking, throwing off the user’s balance and posture. As a result, approximately 70% of amputees develop back or joint problems. In turn, this results in even poorer mobility and potentially in weight gain and worse overall health. To overcome the restraints of traditional prostheses and assist patients with a range of disabilities, integration of neuroscience, regenerative medicine, and synthetic biology together with traditional mechatronics is needed. Bionics is redefining the future of prosthetics! This video from the Guardian shows some of the most recent and exciting technologies. In 2010, the orthotics and prosthetics business was worth an estimated $2.8 billion, with a few major players accounting for the bulk. These include the German-based prosthetics company Ottobock, Iceland-based Össur, and three US companies: Fillauer, Ohio Willow Wood, and Hanger Orthopedic. However, since then, smaller tech companies, innovative startups, and academic research labs have started to leave their marks on the industry. Bionics is an exciting field with a huge potential to change people’s lives, and collaboration and buy-in from the industry will be key to bringing the technology to those who need it the most. Researchers and manufacturers are continuously striving to develop lighter, better‐controlled, life-like, and affordable prostheses for amputees. Bionic prosthetic limbs are constantly improving, combining electronics, biotechnology, hydraulics, computing, medicine, and nanotechnology to achieve these goals. Although bionic limbs still have a long way to go before they will possess the range of motion, control, and sensitivity of real limbs, the recent technological advances in this field are nothing short of incredible. 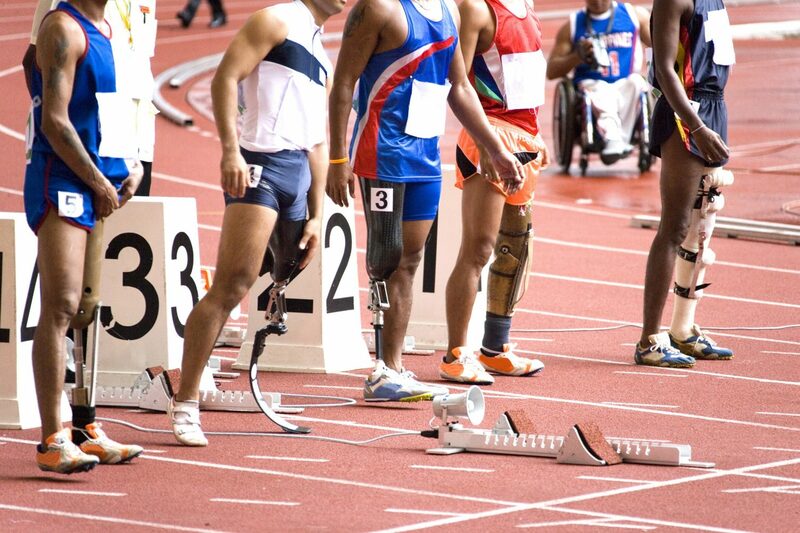 Can prosthetics outperform real limbs? In this video from WIRED, MIT’s Hugh Herr discusses how his biomechatronics division is pioneering the technologies that aim to augment human physical capabilities. Early-generation prosthetic limbs use myoelectricity, that is, the body’s power, to move. In the mid-90s, osseointegration – direct contact between living bone and the surface of an implant – was first introduced, resulting in greater range of motion, stability, and control. More recently, mind-controlled bionic limbs such as the Modular Prosthetic Limb developed by researchers at Johns Hopkins University, with or without osseointegration, have shown incredible outcomes, as seen in the videos below. The Modular Prosthetic Limb developed by researchers at Johns Hopkins University is making history and changing the lives of its users. Össur’s symbionic leg, the world’s first complete Bionic leg, is another game-changer. It features a Bionic microprocessor knee and a powered bionic ankle with proactive ankle flexion in a single, integrated unit. The leg is basically a robot, with sensors that detect its environment and gauge the user’s intentions. Although this sounds like something out of a science fiction movie, the symbionic leg is already on the market. As part of their Revolutionizing Prosthetics Program, a DARPA-funded research team is developing a technology allowing amputees to experience the sensation of touch directly in the brain using a neural interface system connected to a robotic arm. This enables two-way communication between the brain and prosthesis: outbound and inbound signals for movement and sensation, respectively. Additionally, through their Hand Proprioception and Touch Interfaces (HAPTIX) program, DARPA is also pursuing an alternative approach. Here, they are hoping to use bi-directional peripheral nerve implants to continuously communicate motor commands and sensory feedback between the brain and prosthetic limb. There are plenty of other remarkable interventions that will also improve the field of prosthetics. Infinite Biomedical Technologies’ Sense, a sophisticated hand prosthesis, is based on pattern recognition via a learning algorithm. This algorithm records EMG data from several electrodes to create a data imprint of the muscle movements for each grip. Subsequently, whenever the system recognizes the same movements in real-time, it changes to the corresponding hand grip. This technology will be important for ensuring realistic movements with less effort from the user. In terms of the materials used for prosthetic limbs, carbon technology can help make prostheses lighter, stronger, and more flexible and durable. Ultimately, this will enhance the user experience and improve their quality of life. Moreover, 3D printing is expected to revolutionize the manufacturing process of prosthetic limbs and organs. This technology will not only make prostheses much more affordable and quick to manufacture, but will also allow a higher degree of individualization. Finally, it will help bring prosthetic limbs to more people in developing countries and war zones. It still seems futuristic, but exoskeletons are becoming an increasingly common sight in some workplaces. Notably, Ford Motors has been trialing Ekso Bionics’ EksoVest, an upper body exoskeleton that reduces the risk of fatigue or injury among assembly line workers performing overhead tasks. The EksoVest provides adjustable lift assistance of up to 15 pounds (6.8 kg) per arm. As a result, incidents in Ford’s North American facilities resulting in time away from work have reached record lows. With HALO™, Axeos, a Canadian company, has taken a different approach to injury prevention. HALO™ is a compression shirt designed to reduce the risks of whiplash, concussions, and neck and shoulder stress of athletes during contact sports. Using smart materials, the advanced base layer provides postural support that works with the natural movements of the athlete, without affecting their mobility or range of motion. During a whiplash event, the shirt’s collar stiffens, thereby improving neck stability and reducing causal factors of whiplash injury and concussion. Recently, Ekso Bionics also released the first commercially available, FDA-approved exoskeleton for rehabilitation of patients with stroke or spinal cord damage. Named EksoGT, this system can walk under its own power, operated via a remote control. To date, close to 20,000 patients in 30 countries have been rehabilitated using EksoGT. ReWalk is another exoskeleton currently on the market. It works by providing powered hip and knee movement to its wearer. What’s fascinating about this particular design is that it allows not only for rehabilitation of patients with stroke and spinal cord injuries, but can also help paraplegics “walk,” including up stairs! The ReWalk exoskeleton is enabling paraplegics to walk, including, for the first time, up stairs (video by Engadget). However, bionics include more than robotic limbs and exoskeletons. Artificial organs such as bionic eyes, ears, pancreas, and kidneys are also available, under development, or are being studied. Bionic eyes, or visual prostheses, are constructed from an array of stimulating electrodes. The array is placed onto the retina and fed electrical signals originating from each pixel in a digital camera. When placed into the eye of a blind patient, the electrodes stimulate the nerve cells that would normally receive input from photoreceptors. This information then relays to the brain, where a pattern of electrical signals replicating those obtained via the normally functioning eye are experienced. Although not yet available commercially, bionic eyes will one day enable blind people to see again! Bionic eyes are one step closer to reality, and, in the future, could replace human eyes and help blind people see (video by Quartz). A 2017 study in the Lancet demonstrated that at-home use of a bihormonal bionic pancreas resulted in better glycemic control than insulin pump therapy in adults with type I diabetes. Although long-term data are still needed, this finding is highly promising. If the bionic pancreas becomes a reality, there will no longer be a need for carbohydrate counting or frequent blood pricks. Moreover, the convenience of an automated, implantable system will help improve the patients’ quality of life. In brief, the bionic pancreas comprises three components: an implantable pump for both insulin and glucagon, a continuous glucose monitor, and an algorithm that learns the patient’s response to insulin and glucagon and adjusts the dosing accordingly. Currently, all components are handled by a dedicated bluetooth smartphone app. However, a system utilizing a built-in controller, thereby eliminating the inherent problems related to wireless communication, is under development. As of last year, five wearable artificial kidneys were in development or undergoing trials. These include WAK, AWAK PD, ViWAK PD, NaNo, and Carry Life® Renal. These offer either hemodialysis, peritoneal dialysis, or a combination thereof, using a portable system. While none is yet approved for use in Canada, WAK is approved in the US under the Expedited Access Pathway program. Although we need more large-scale long-term studies, and many technical issues remain, this technology still holds promise. Artificial kidneys may eventually lower the costs for the patients and healthcare system by as much as 30-40% compared to traditional dialysis. Especially, travel- and clinic staff-related costs will be minimized. Theoretically, artificial kidneys may also improve fluid balance and remove any dietary restrictions associated with dialysis. Eventually, the hope is that their use will substantially improve the quality of life for patients with end-stage kidney disease. We Have the Technology, But Now What? There is no doubt that bionics have come a long way in the last few decades. At this rate, this field is set to change patient care as we know it within the next 20 odd years. Nonetheless, there are still improvements to be made. One missing element is brain-computer interface (BCI) technology (briefly discussed here). Bionics requiring major surgery will likely always be expensive. For the millions of people worldwide suffering from strokes or spinal cord injuries, most of whom are not able to pay out of pocket for invasive bionic technology, a noninvasive BCI would be a game-changer. Some BCIs are already available. For example, the Emotiv EPOC, a 5-channel wireless headset, is equipped with a wireless EEG system that records the wearer’s brainwaves and translates them into meaningful data. It comprises several advanced detection algorithms that could theoretically control bionic technologies one day. Another awaited, albeit mysterious, BCI-related technology is Elon Musk’s “brain lace” that is being developed by his new company Neuralink. However, few details have been given so far, and neuroscience experts are unsure of its utility. Until more is revealed, all we can do is stay tuned. From a manufacturer point-of-view, a number of factors need to be considered in terms of bionics. Most importantly, what are the unmet needs and wants of patients, workers, athletes, or physicians related to injury prevention and prosthetic limbs or organs? Furthermore, insight on things such as choosing the appropriate patient populations, designing strong clinical trial protocols, and navigating complex regulatory procedures will help ensure a successful end product. A cost- and time-effective way to establish such a strategy is through the use of online advisory boards with key stakeholders. The online format is ideal for gathering timely and expert advice on a multitude of topics, including on how to best make bionics available for patient care. The advisors can include physicians, rehabilitation specialists, researchers, payers, and patients, among many others. Compared to in-person consultancy meetings, online touchpoints can help greatly increase the engagement rates of the advisors, who are often extremely busy and not always available to travel. Moreover, the assignments, which are compelling, relevant, and timely, can give the advisors time to pause, reflect, process, and review their colleagues’ comments on their own time. In turn, this allows for more thoughtful and granular insights shared through the online forums. It is clear that bionic technologies are here to stay and that many patients’ lives will improve as a result. While, yes, there are many technical obstacles to address, the progress in recent years is simply astounding. With refinements in the technology and lower costs, more and more patients will get access to bionics. To speed up this process, collaboration between academic research institutions and manufacturers, as well as funding for research and development, will be essential. I for one cannot wait to see where the future takes us! El-Khatib, F.H., Balliro, C., Hillard, M.A., et al. (2017). Home use of a bihormonal bionic pancreas versus insulin pump therapy in adults with type 1 diabetes: a multicentre randomised crossover trial. Lancet, 389, 369-380.